Congratulations Koronadal Central Elementary School- II for being adjudged 2nd place in the recently concluded 2013 National Search for Sustainable and Eco-Friendly Schools. Koronadal Central ES-II represented Region 12 or SOCCSKSARGEN and competed with other regional winners. Kibawe Central Elementary School in Kibawe, Bukidnon landed on the 3rd spot while Dubinan Elementary School in Plaridel, Santiago City won the first place. 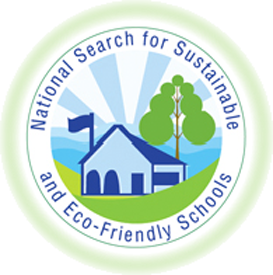 The 2013 National Search for Sustainable and Eco-Friendly Schools was organized by the Department of Environment and Natural Resources (DENR) through the Environmental Management Bureau (EMB), the Department of Education (DepEd), Commission on Higher Education (CHED) and other corporate sponsors. The competition is aimed at encouraging schools and academic institutions to become more actively involved in environmental issues at a practical and local level and developing skills and understanding among the students, faculty, and school administrators in initiating active responses on environmental concerns. Aside from KCES-II, two other schools from the City of Koronadal were among the finalists in this year's National Search for Sustainable and Eco-Friendly Schools competition. These are Marbel 7 National High School which represented Region 12 in the High School category and Notre Dame of Marbel University in Tertiary level. The awarding ceremony was held last night, November 20, 2013 at the Activity Center of SM City North Edsa in Quezon City. Below is the complete list of winners in the recently concluded 2013 National Search for Sustainable and Eco-Friendly Schools. Congratulations, best wishes and God bless to all the grand national winners!